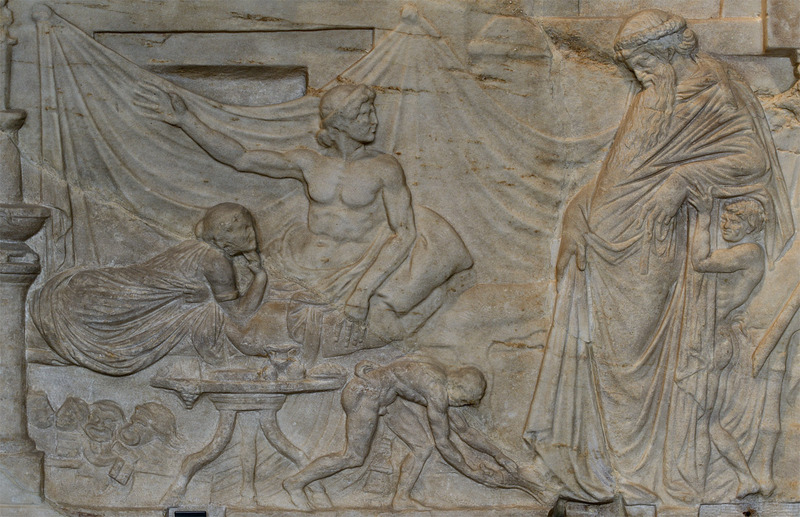 Dramatic poet plays host to Dionysos (so-called “Icarios’ feast”). Detail. Roman copy of the 2nd cent. CE from Greek model of late 2nd cent. BCE.